So, let’s go over this again: you got yourself a brand new firm mattress but you’re still not happy with the results. On the other hand, you really don’t have the money for a brand new firm mattress at the moment, but you’d sure enjoy a firmer surface for your sleep. Either way, there is a simple solution to your problem: a brand new firm mattress topper! Getting a mattress topper is not that difficult. Finding one that is actually firm, well…that’s another story. A firm mattress topper brings more comfort and boosts up your old mattress, giving you the sleep you’ve missed for such a long time. A firm mattress topper may leave a soft feel and should be chosen wisely. It should provide firm support without minimizing comfort. By contrary, it should alleviate any of your pain (back, hips, shoulders…you name it). A good firm mattress topper is able to align properly your spine and to minimize all pressure points. In addition, if it’s also breathable and doesn’t keep you hot in the night-that’s only for the better. The most popular option is the memory foam mattress topper and it’s not only because of its comfort, but also for its diversity. 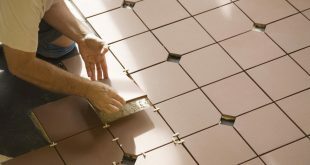 You may find it in a great variety of thickness and densities and a denser topper gives you better support. Sure, it may trap your body heat or cradle your body (just a bit), but this depends on its quality. Moreover, the specific smell isn’t always durable and strong, as some say. 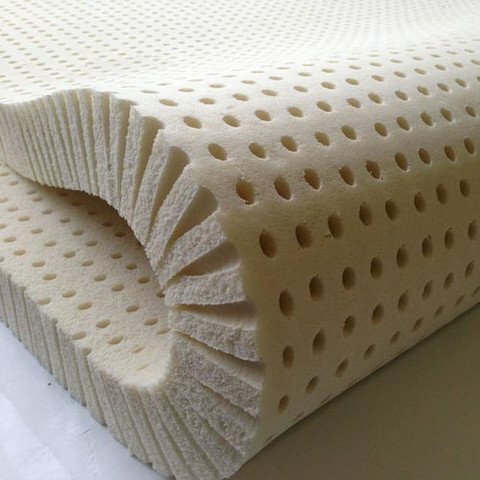 You may also find firm mattress toppers made of latex foam-which is either natural or synthetic. It’s more breathable than the memory foam and a bit firmer, just as well. Not to mention it’s hypoallergenic, so it’s definitely the best option for the allergic customer. Stay away from the featherbeds if you are looking for firm support. As nice as they sound, they give nothing but softness to your mattress. One last thing: take a look at your wallet. It may also have a say on what your final option is going to be! 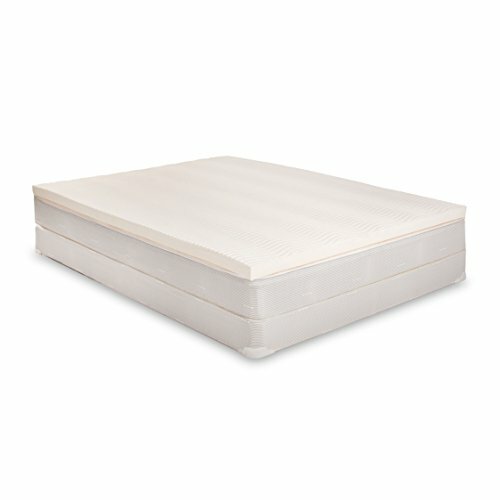 Don’t let the low price of the Lucid 2 Inch Foam Mattress Topper Full mislead you. The mattress topper manages to make our Top 10 for the quality it brings, for a very good price. The topper is 2-inch thick, but it’s solid and creates a firm support for your body. It’s efficient on pressure relief and on aligning correctly your spine. The mattress topper supports your head, neck and shoulders, giving you a better sleep. The mattress topper is quite responsive and absorbs the movements of your partner. It conforms to your body weight and body and helps you fall asleep faster, without waking up during sleep. We like the topper, as it’s great for improving your mattresses’ performance and for expanding its life span. Let’s also note the mattress topper is hypoallergenic-which is always important for some. Very well made, reliable and only wearing a subtle smell, the mattress topper makes a great choice for the smaller pockets. Nevertheless, for the little money you pay, you get quite a good firm mattress topper that may serve you good for some time. It seems intriguing (to say the least) to find a mattress topper that is firm and responsive at the same time, but this describes best the Full / Double Size 3 Inch iSoCore 3.0 Memory Foam Mattress Pad. The mattress topper is made with a luxurious and resilient memory foam that instantly takes the shape of your body. The Next Generation Memory Foam Technology used on the topper is efficient and the iSoCore 3.0 memory foam reacts to your body temperature, minimizing pressure points. The visco elastic memory foam open cell topper is created so that it gives nice supple contouring comfort, minimizing tossing and turning. The back pain is relieved and you get to fall asleep faster, without waking up all night. The mattress topper is not only comfortable, but it’s also able to bring a new vibe to your old mattress. It’s firm enough to provide good support, yet responsive to feel comfortable and soft at the same time. We like the topper as it barely wears a subtle smell that does go away quickly. The topper is made in our USA so you know it’s good quality. It’s well made and quite durable. In addition, let’s not forget the price that is so accessible for many. All things considered, giving its firm support and comfort, we’d say the topper is a great bang for your buck. Taking a closer look to the Zinus Sleep Master Gel Memory Foam 4 Inch Topper helps, you realize that the mattress topper is not great only for the support, but also for its ability to keep you cool throughout the entire night. There is a very simple explanation for this opinion: the composition of the mattress topper. The topper is made with 2 inches gel memory foam and 2 inches of high-density base support foam. Therefore, you’re not only getting a firm support for your back, but also a nice, breathable topper. The back pains are gone and the pressure points are taken care of. The mattress topper creates a nice support for your body, without a stiff feeling. Additionally, the breathability is efficient and you don’t wake up all sweaty in the morning. Even though the mattress topper is going to need around 48hours to expand to its full size, it’s totally worth the wait. Don’t be surprised not to notice the specific memory foam smell, as the topper barely wears it. As it’s very well made and so nicely cushioned, the topper manages to be a firm option for many. For what it’s worth, we do stand by our opinion and recommend the mattress topper as a reliable choice when in need. The thicker your mattress topper is, the bigger the chances to be firmer, in most cases anyways. 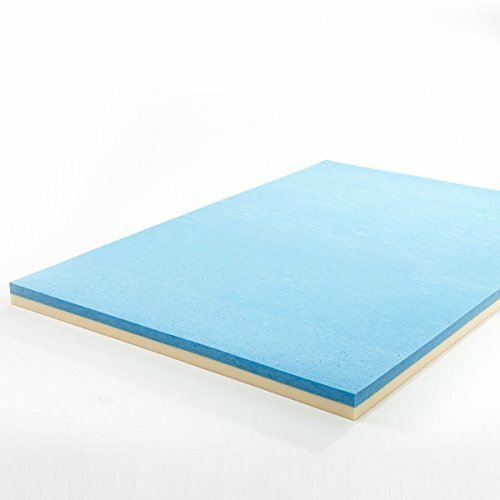 The Best Price Mattress 4-Inch Memory Foam Mattress Topper may seem a bit too thick for many, but it’s a great solution if you are in need for a firm mattress topper. The mattress topper is firm enough to provide great support and to boost a bit your old mattress. We also like it a lot, as it’s responsive and it comes with active suspension. In English? The mattress simply isolates the movements of the sleep partners- nobody disturbs anybody when turning on the other side (but there isn’t going to be any more turning and tossing as you’re going to sleep throughout the entire night). When we take a closer look to the composition of the mattress topper, we see it’s made of 2.5” high-density foam and 1.5” memory foam. The even distribution of the weight brings comfort and doesn’t create big cradles either. The topper takes the shape of your body and works its wonders on your pain, relieving all pressure points. The mattress topper is quite firm and you can see it since it doesn’t ever sink. We like it also because it wears no specific odors and is very safe to use. Its polyester mesh zipper cover expands its life span as it protects it. In addition, it’s so easy to clean. The mattress topper’s firmness sure serves the main purpose: soothing any neck, back or leg pain. All in all, for a good price, you get a pretty firm mattress topper that may solve many of your pains during sleep. If you’re not into the memory foam mattress toppers and you’d rather get a more natural option, don’t hesitate and give it a go with the Pure Green 100% Natural Latex Mattress Topper-Firm. The mattress topper is made with 100% natural latex and includes no filler nor synthetic latex. It provides an efficient pinpointed support so your comfort is complete. The mattress topper is a firm option and its rated 44ILD, but you can get other firmness ratings for various models. Due to its firmness, the mattress topper is a great option for the side sleepers. One thing we really like on the natural latex products is that it’s hypoallergenic. 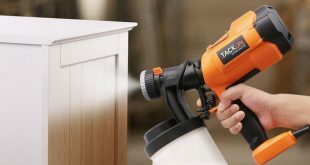 The topper is dust-mite resistant and is anti-microbial at the same time. Firmness has nothing to do with its breathability so the mattress topper keeps you also nice and cool throughout the entire night. The topper manages to remain also resilient, with good elasticity. It’s very well made, which explains its rather long life span. There are no doubts on its performances when it comes to comfort. The mattress topper is relieving your morning pains and pressure points and this sure means good night sleep. You may feel a specific smell in the beginning, but this depends a lot, on how good your nose is. The specific odor wears out quickly, either way. Nevertheless, when in need for a mattress topper that is both made of latex and firm, this one is a good choice. Finding a mattress topper that meets the needs of both sleep partners is a bit challenging, but not impossible either. If you find yourselves wanting different kind of things (when it comes to firmness of you bed topper, of course), you can solve the problem with getting a mattress topper that meets both of your wants. 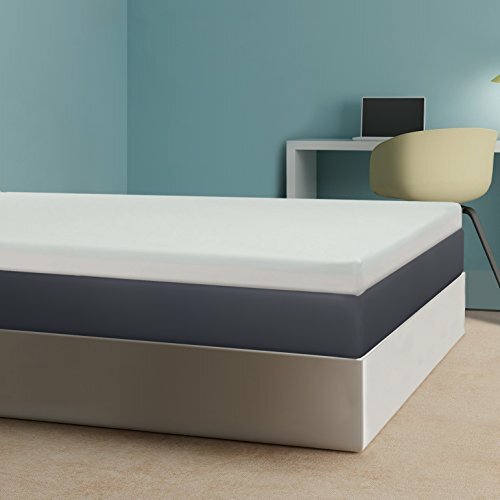 The Sleep Innovations 4-Inch Dual Layer Mattress Topper is such a mattress topper as it’s made of two different materials. The mattress topper contains 2 inches of fluffy fiberfill and 2 inches of cooling gel memory foam. This combination gives a topper that is firm, yet not too firm, feeling soft and comfortable for anyone. The combination makes the mattress topper more versatile and it can be successfully used in all sleep positions: side, back and stomach. As for the comfort, it’s important to know the mattress topper soothes your back pain, cradling you in the nicest way. The topper is also very responsive absorbs the movements of your sleep partner. It also keeps your nice and cool throughout the entire night so you don’t wake up sweaty in the morning. Not only the mattress topper is very well made, but it also comes with a snug-fit cover. The cover expands the life span of your mattress topper and is easy to remove for cleaning. It’s washer and dryer safe, which is such a relief for many of us. Don’t worry about the specific smell in the beginning as it goes away rather fast. The best part of the mattress topper is that is made in our USA. Well, maybe not the best, but sure essential to many. 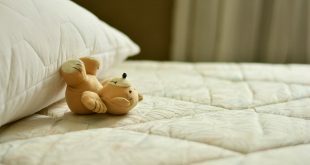 Nevertheless, for its firmness, versatility and comfort, we still consider the mattress topper a great option to try. Are you struggling with some bad back pain or simply want a firmer support for your back? Don’t hesitate to give it a go with the 100% Latex Mattress Topper. 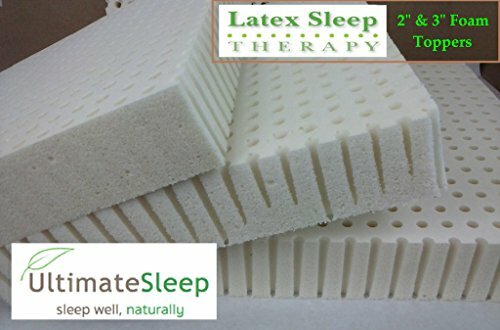 The latex mattress topper is made so that it provides a firm support at night, improving your back pains. It presents an interesting two sides design so, if you don’t feel comfortable with the firm side (25ILD), you can always flip it to the softer side (14ILD). The comfort of the mattress topper comes also from its build. It has no seams, no adhesive and no fillers either. The built in cooling waves ensure a nice, efficient airflow during your sleep so you don’t wake up all sweaty in the morning. The mattress topper doesn’t transfer motion so nobody feels the partner tossing and turning in the night (even though risks are minimal when using the mattress topper). We also like the mattress topper for its nice feel and the fact it’s not smelly. 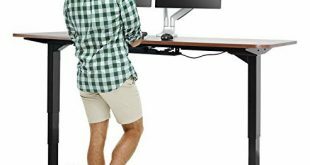 It’s quite bouncy, yet sturdy enough for a firm support. It brings comfort to your back or hip pains altogether. It’s impossible not to like its colors, designs. In addition, the fact is made in our USA and sold by veterans may seal the deal for you. No matter the minor issues, we still like the mattress topper for its firm support and versatility. Forget about getting a new mattress as the old one kind of lost its firmness. Make a smaller investment and get yourself a firm mattress topper like the Memory Foam Mattress Topper instead. 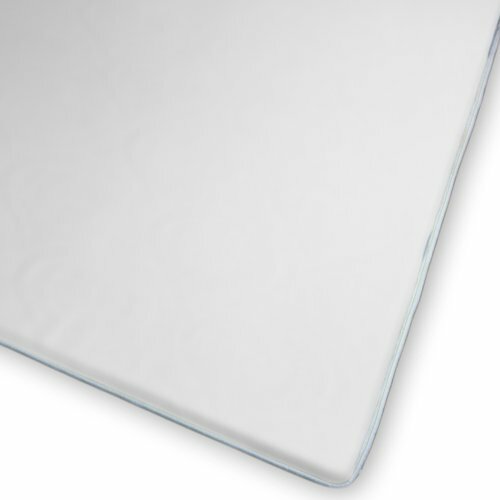 The mattress topper is made with 4 inch of cooling gel infused memory foam. Therefore, the topper isn’t just dense and firm, but also comes with cooling abilities. The topper distributes evenly the weight and you don’t end up sinking into the middle of your bed. The firmness of the mattress topper is efficient and able to ease all sorts of pains: joint pain, back pain, arthritis pain. It absorbs pressure and doesn’t create an egg crate. It channels heat away just as well and keep at distance heat build-up. The mattress topper comes with a cotton cover that expands its life span. The cover is machine washable and easy to take care of. The topper is made in our USA so you don’t need to worry on the craftsmanship either. Our take aways are that, even though it has its limits, the mattress topper is way too good of an option to get lost in the minor issues. For some, a mattress topper made in our USA doesn’t need any other details. As there are so many good quality topper made in our USA, we owe it to this one to put a light on its qualities. The Queen Original Talalay Latex Mattress Pad Toppers has plenty of other good things, either than being made in our USA. 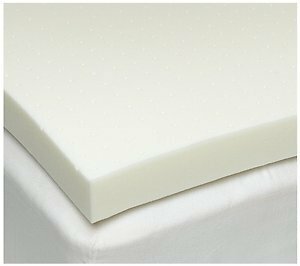 The mattress topper is made with talalay latex and comes in various sizes and thickness options. It’s pin core molded for better air flow and is comfortable all night long. No more tossing and turning, no more sweaty mornings. The mattress topper manages to be firm (we talk about the most firm option) and supportive, alienating any back pains. It’s breathable and manages to absorb heat, releasing cool air instead. The durability of the topper is another important quality. The latex is springy and absorbs the movement of your sleep partner and nicely takes the shape of your body. The firmness of the mattress topper doesn’t come with a loss of cushioning, which is not very easy to obtain. The mattress topper is anti-microbial, dust mite resistant and keeps your allergies under control. As for its build, no worries either. 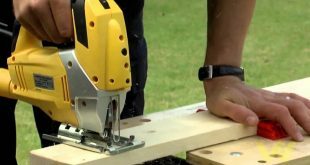 The topper is very well made and may be of big help for a long time. Despite the minor issues, we still consider the topper to be a nice final detail to your mattress. What’s great about the Serenia Sleep Latex 2-Inch Easy Flip Mattress Pad Topper with Cover is that is managing to give a firm support, without being too thick. The reversible latex mattress topper conforms immediately to the shape of your body, giving great comfort. Latex is obtained from tropical rubber trees, which is why the topper is springy and resilient. The mattress topper makes it a great choice for the heavier body weights as it springs back and recover repeatedly. The mattress topper is supportive for your spine and reliefs any pressure points. The list of great things continues with the qualities of latex. Breathable, hypoallergenic, the mattress topper is also dust mite resistant, keeping allergens at distance. 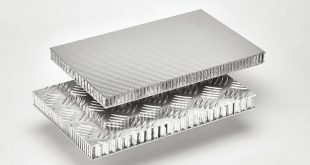 Its air ventilation holes sustain a good control over your body temperature so you sleep fresh and dry the whole night. 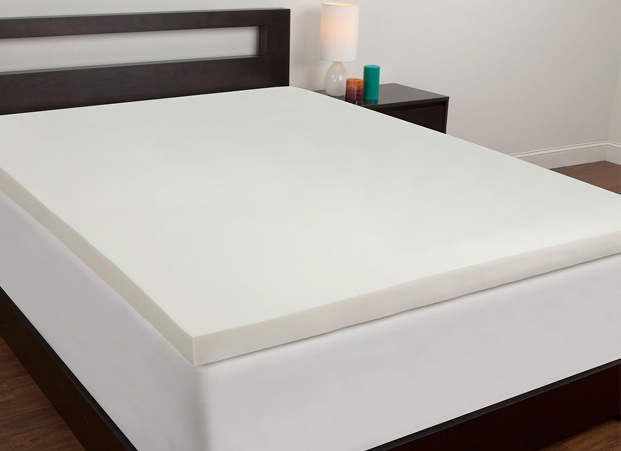 The mattress topper comes with a nice looking plush cover that is fully enclosed tape edge. The cover doesn’t just protect your topper, but it also make it easier for your to move and flip over. We like the mattress topper for its comfort as it soft, without losing its firmness. It makes an old bed feel like brand new and brings good sleep for any stomach/side sleeper. Long lasting and easy to take care with some warm water, the mattress topper is a good choice for a very long time. Never mind the minor issues, as for its durability, comfort, and firmness the topper is a great investment of your money. There are plenty of options out there when it comes to firm mattress topper to improve your back pains. 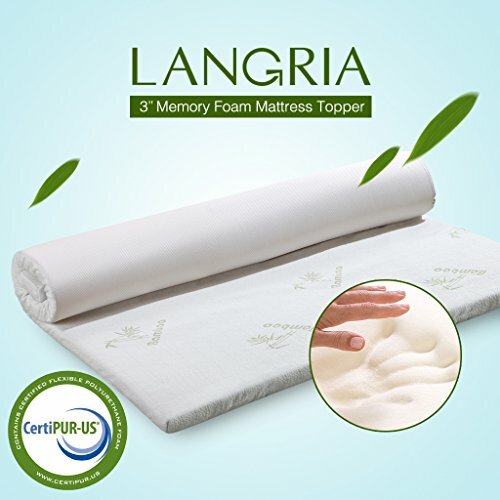 We are sticking this time with the Langria 3-Inch Twin Memory Foam Mattress Topper for various reasons and you need to take a look at this for better understanding. 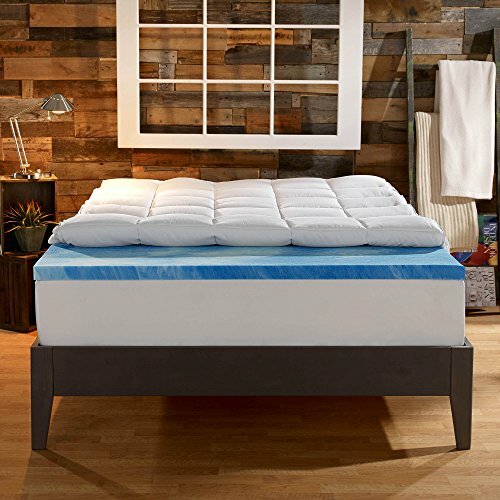 The mattress topper is made with 3-inch CertiPur memory foam that brings a comfortable layer to your mattress, without any harmful chemicals. 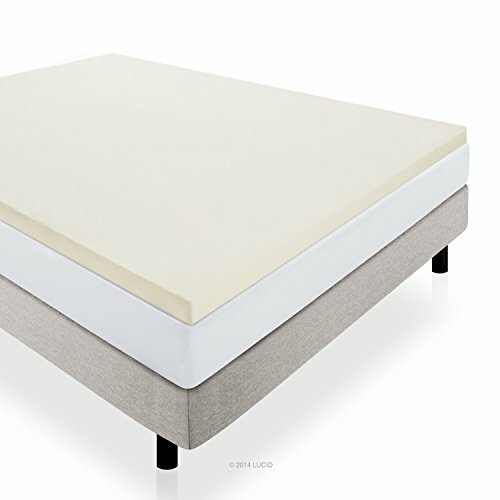 The memory foam topper is firm and able to isolates the motions of your sleep partner. It also takes the shape of your body and encourages pressure points to increase the pain relief. You may actually be surprised by its firmness and you sure get to enjoy the good support it provides. The non-slip dots on the back minimize slippage and the mattress topper becomes a great asset for your bed. The mattress topper comes with a bamboo cover that is 100% antibacterial and hypoallergenic. It’s efficient for moisture wicking also and it’s removable. The topper is protected and you always get to stay clean and fresh. The inner cover (made of polyester knit fabric) and the bottom present a non-slip fabric so the topper remains over your mattress at all time. As it gets to you tightly wrapped, you need to give it around 24hourse before it fully expands. Once you see it at its full size, you notice that is made so well and how durable appears to be. All things consider, we still like the mattress topper for its ability to eliminate your back pain, providing a nice, firm support for your body.